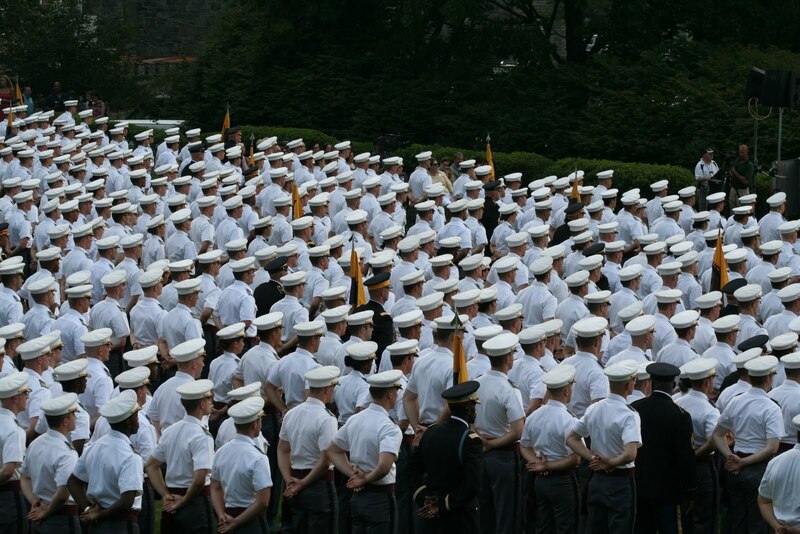 A West Point weekend – ring! The journey wading through grief while learning to swim continues. In future posts, I’ll document more about this but I have determined that swimming is an homage to my grandma. Not that she was a great swimmer, in fact, how crazy is this, I’m not even sure she swam though I do have pictures of her in the pool and in the ocean! Nonetheless, swimming has become an emblem, my emblem of moving forward despite the current of sadness which I now possess in my heart. 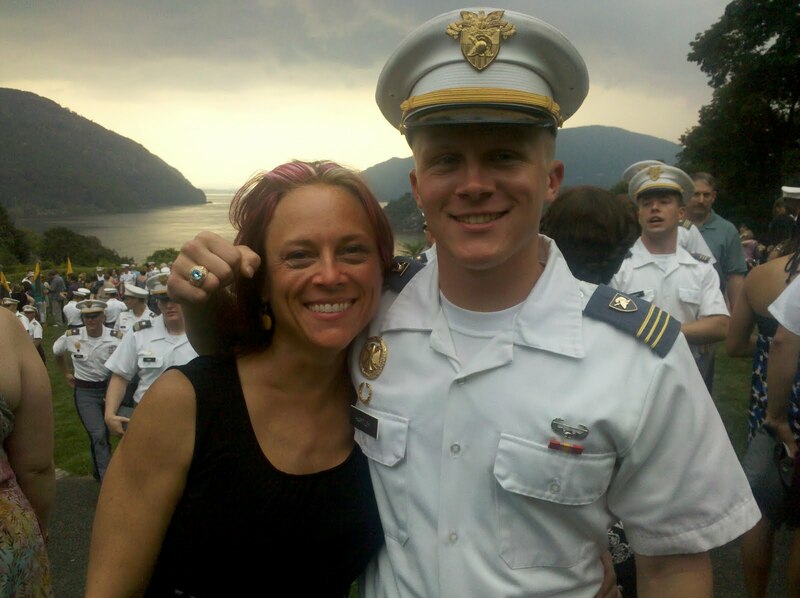 But over the weekend, I set despair aside and experienced the unmitigated joy and pride of being the mama of a West Point firstie. How sweet and kind of the Lord to perfectly situate a celebration in the midst of a loss. 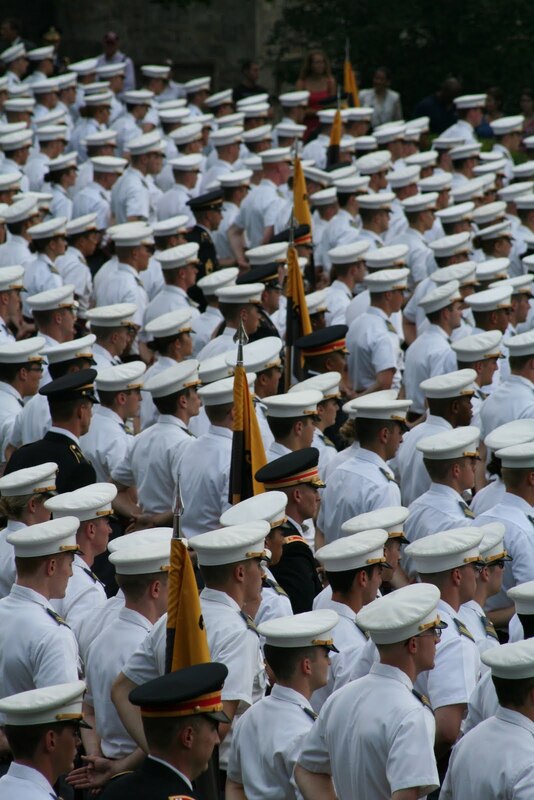 My oldest OS is now a firstie at West Point. In civilian terms, he is a “senior” in college. And when you are a firstie, the plebeian life is wayyyyy behind you. Sure, you have some very big decisions to make regarding your future but for a precious weekend in August, you leave those worries behind. It’s all about one thing…getting your ring. Yeah, it’s a pretty big deal. Moments away from getting their rings! Lowly plebes refer to the ring as a mass of crass and brass and glass but for a firstie, it is an epic embellishment. Overlooking Trophy Point, the Hubs and I along with many equally exuberant parents, observed nearly a thousand firsties savor that moment. Once that ring is slipped over each firsties’ finger, all the muck and ruck and toil and moil they have endured at West Point, kinda sorta melts away. At least that’s what I noticed in my OS. My OS marching to the Ring Ceremony. With literally hundreds of stones to choose from, it wasn’t easy picking the right one. 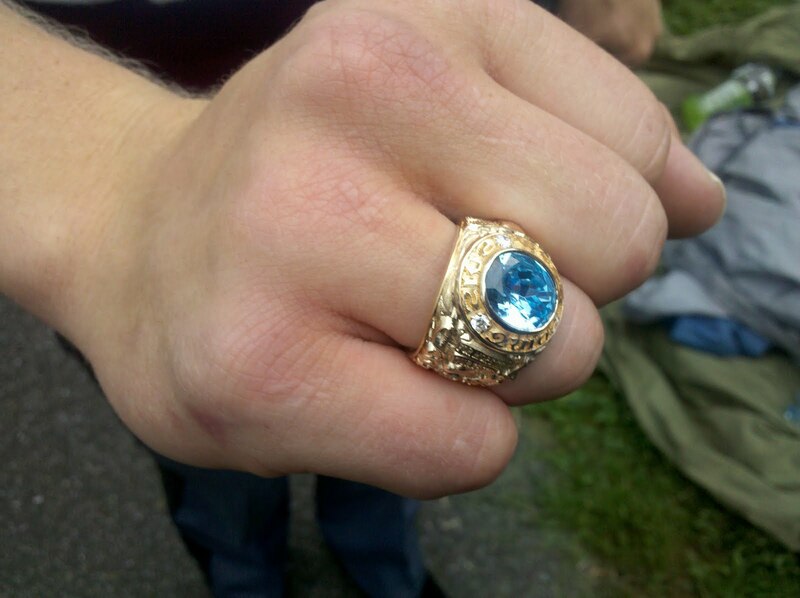 Nate selected a striking sky blue topaz set in yellow gold. On one side of the ring are the words United States Military Academy and on the other is the class crest “For More Than Ourselves 2012.” Knowing my OS as I do, I can’t think of a more fitting motto. Two “diamonds” are set on either side and when coupled with the middle stone, a brilliant streak of blue catches the eye. Nate’s mass of crass and brass and glass. As impressive as the outside, the engraving on the inside of Nate’s ring was as significant. “If God is for us, who can be against us?” is the inscription he personally selected from Romans 8:31 in the Bible. I.love.that. I mean I really love that. As an extended family, we will cry and laugh and profoundly feel the gaping loss together. We will eat pizza and Portillo’s then make more memories in honor of her. And that gorgeous sky blue topaz ring will be on Nate’s finger. Grandma would have had everyone gushing over this ring. She would have grinned from ear to ear as if she birthed him herself.